The strategy establishment is based on the analysis result of the above step. In this step, a strategy document is prepared according to the conditions a customer might face when applying cloud computing mode. In this step, we recognize the risks that might be caused by cloud computing application from a business perspective. In this step, we identify the applications that support the business processes and the technologies required to support enterprise applications and data systems. Quality of service refers to the non-functional requirements such as reliability, security, disaster recovery, etc. The success of applying cloud computing mode depends on these non-functional factors. 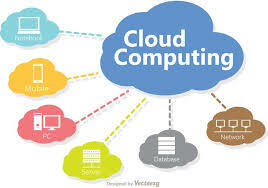 In this step, we formulate all kinds of plans that are required to transform current business to cloud computing modes. This step includes selecting a cloud provider on basis of Service Level Agreement (SLA), which defines the level of service the provider will meet. Maintenance and Technical services are provided by the cloud provider. They need to ensure the quality of services.